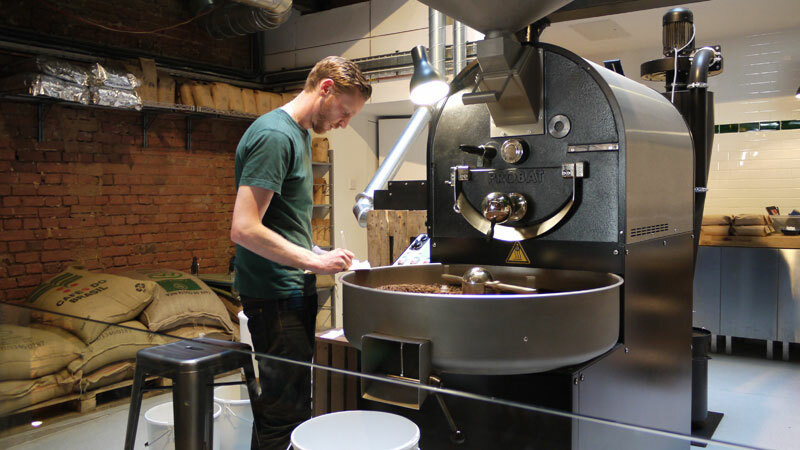 Sound Division were recently asked to install a background music system in the first UK site of ST. ALi – a roastery, coffee bar and restaurant. 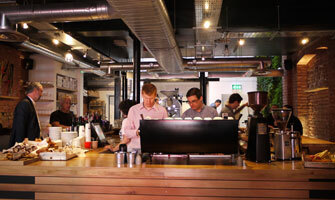 Located on Clerkenwell Road EC1M, London the two story venue is a unique coffee bar that roasts all its coffee onsite, and opened its doors in April to rave reviews from Time Out magazine. 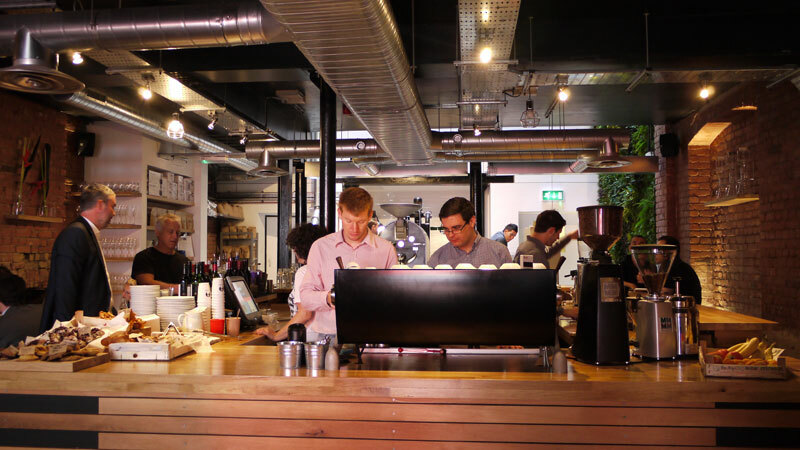 Sound Division were awarded the contract to install a music system for the new site, with the brief, to provide the chic coffee bar and restaurant with a good quality system that could provide low level background music during daytime operation. The system needed to be capable of being turned up to provide foreground music for evening time operation, when a more vibrant atmosphere is required, particularly in the first floor lounge which can be hired out for private functions. System design: Martin Audio AQ5 speakers were chosen for their compact size, sleek design and good sound reproduction qualities with ten units installed over both floors and in the walkways in a two zone configuration. For system control a straightforward and simple to operate Cloud CX261 zoner unit was installed powered by three Crown XLS202 amplifiers all housed in a rack located in the basement drink cellar – which is out of the way and always cool – ensuring no ventilation issues can occur. Cloud remote RSL volume and source control panels have been fitted on both floors together with two powered iPod docking stations for MP3 music sources. A further Pioneer PDM-426 six play CD unit was also supplied for those private room clients bringing CDs to play. 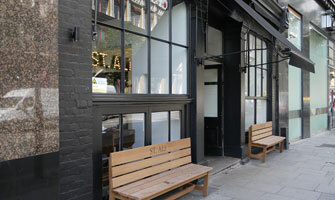 David Graham, MD at Sound Division commented: "We were delighted to be asked to deliver the sound system for ST. ALi. It’s great to be associated with such a unique brand and interesting site, and the coffee tastes wonderful". James Dickson, Executive Director at ST. ALi happily added "Sound Division have done a great job for us, with a smooth installation and no problems – and the sound quality is perfect for the site, helping us provide the right ambience for our customers"